The safety of artificial sweeteners has been debated for quite some time. Some popular sweeteners, such as sucralose (better known by its brand name, “Splenda”) and aspartame (“Equal” or “NutraSweet”), promise to deliver the sweetness of sugar—usually much sweeter, though—with fewer or no calories. These sweeteners are particularly attractive to people who want to lose weight or those on a low-calorie diet. But while these sweeteners may seem innocent enough, the question scientists want to know is: are they safe? Let’s take a look at one of the popular sweeteners, sucralose. Sucralose is a sweetener that is 600 times sweeter than sugar. It is made from regular table sugar that is broken into three chlorine atoms, creating a sweetener that has a little bit of the sweet taste of sugar, but without the high calories. Sucralose cannot be digested by your body: it goes straight through your digestive system and is excreted in urine. 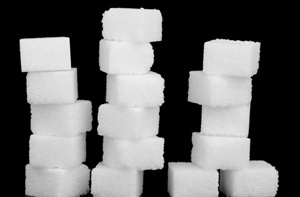 The sweetener is also known to have a somewhat bitter taste, which is why many people use it in coffee or baking, which masks the taste. 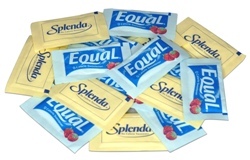 The most popular version, the aforementioned Splenda, is made primarily from sucralose, as well as from glucose and maltodextrin. It is marketed as having no calories, but it actually has three calories per packet. That said, it’s still ideal for people on weight loss diets. According to some sources, there are reported dangerous side effects of sucralose, such as gastrointestinal problems, headaches, epilepsy, vision problems, blood sugar increases, and even weight gain. According one analysis, there were only six human trials published which involved sucralose, of which only two were completed, comprising a total of 36 human participants, with the longest duration being three months. Given the limited duration of these studies and the small number of human participants, a lack of evidence has been cited as a reason that the safety of sucralose cannot be determined. However, it is still vital that people be aware of potential sucralose side effects. Many people wonder about the safety of sucralose and if there are any dangerous side effects. In the past, Splenda has been endorsed by a few notable organizations, such as the American Diabetes Association, the World Health Organization, and the Food and Drug Administration. According to the latest reports, 71% of American households have purchased a product containing sucralose. Recently, however, controversy has developed about the safety of Splenda and sucralose side effects. In June 2013, the Center for Science in the Public Interest (CSPI), a public health advocacy organization that fights for health initiatives, downgraded sucralose from “safe” to “caution” in its “Chemical Cuisine” guide to food additives after an independent Italian study found that one of the sucralose side effects included causing leukemia in mice. Previously, the only long-term studies conducted about the safety of sucralose were conducted by the manufacturers of sucralose themselves. While these results only came from one Italian study, the CSPI were quick to react in order to prevent people from consuming the sweetener and suffering from this and other potential sucralose side effects. In the study, Dr. Morando Soffritti, director of the Ramazzini Institute in Bologna, Italy, wanted to determine if there were any sucralose side effects, so he fed sucralose to about 900 mice. He found that the risk of developing leukemia was greater for the mice that were fed more sucralose. The study has since been criticized, as it was not conducted over a long period of time, involved no control (all the mice were fed sucralose), and was only an animal study. The researcher said that to better determine sucralose side effects, larger studies must be conducted, ideally on humans. Based on the limited data available, scientists and researchers are not sure about the gravity of sucralose side effects and how detrimental they may be to your health, if at all. However, it’s important to be aware of the potential sucralose side effects if you consume this additive, so you can make the best decision for your health.